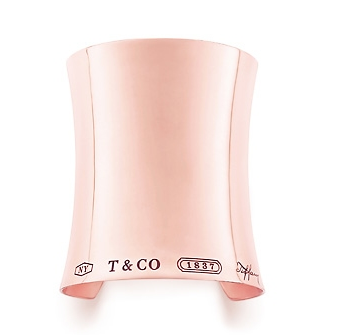 Celebrating its 175th anniversary Tiffany & Co. created this new form of precious metal called RUBEDO. There have been many discussions surrounding the making and categorization of that metal. Nevertheless, they carry a must have bracelet, it is iconic as well as defying time where it would never go out of style. Like it, have been searching for Surrounding sites today with yahoo….